The United States has a long history of war resistance and war resistors. From the Quakers resisting the Revolutionary War to Muhammad Ali’s famous refusal to go to Vietnam, American history is replete with examples of people who did not support the nation’s military goals. Depending on who you talk to, these people are heroes, traitors, or somewhere in between, but regardless of the perception, war resistance in the United States has received plenty of attention from historians south of the border. With a shorter history and fewer armed conflicts, the same cannot be said of Canada. The narrative of war – in particular the two world wars – serving as universally unifying endeavours is particularly strong (as noted during this roundtable from the CHA). There is an emerging literature challenging that view, however, and giving voice to the thousands of Canadians who have openly challenged and questioned the country’s military actions. 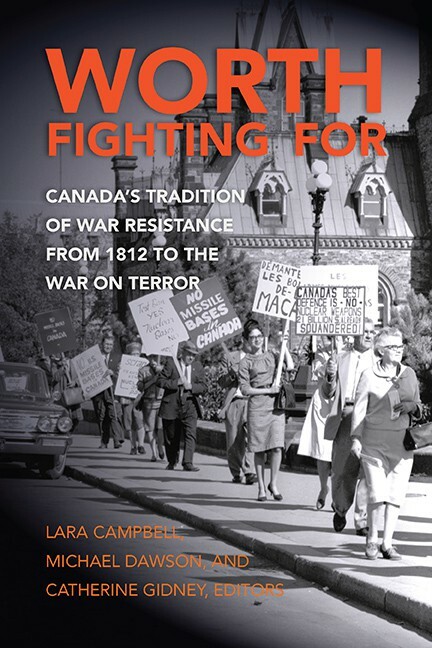 One example of this is Worth Fighting For: Canada’s Tradition of War Resistance from 1812 to the War on Terror. The book is an edited collection that traces the history of those who resisted war throughout Canadian history. The book includes every major conflict in which Canada has been involved as well chapters on the Canadian reaction to and reception of Vietnam war resistors and draft dodgers. In this episode of the History Slam, I talk with Lara Campbell of Simon Fraser University and one of the editors of Worth Fighting For about the book. We chat about the process of putting together an edited collection, the challenges of studying war resistance, and the various methods through which Canadians have resisted war.